Pros – High range. Above average stability & reload speed. Cons – Low aim assist & small magazine. 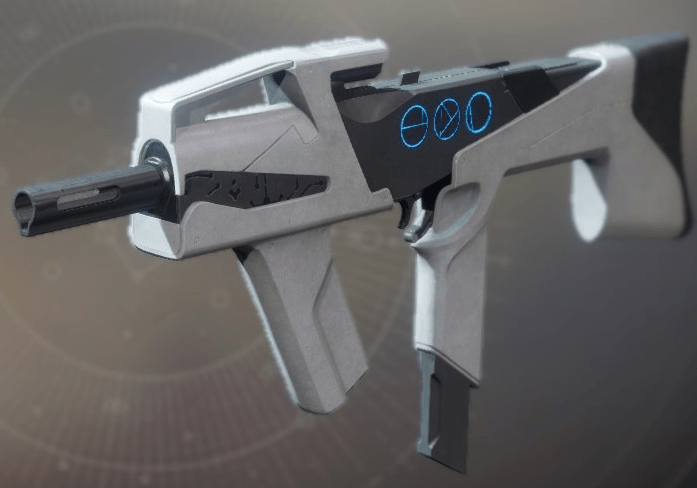 One of my favorite Energy auto rifles in the game, Prosecutor tends to be overlooked due to being in the same archetype as Uriels. The range and stability are strong , not to mention Tap the Trigger, which is a very underrated perk. Combine that with Hip-Fire for close quarters battles, and you have a weapon that functions well at all AR ranges, while other weapons in the archetype can tend to struggle at the edges. In addition to this, it’s also one of the only ARs in the game that has a sight other than the typical Red Dots. The standard reticule is reminiscent of the Red Dot ORES from Destiny 1, which was my go-to on any full auto weapon. If you’ve been looking for another weapon to supplant Uriels and Last Hope in your energy weapon spot, this is a worthy choice. Pros – Above average range. Cons – Below average stability & reload speed. This is a member of the “High-Impact” archetype, which unfortunately makes it pretty bad right off the bat. This Kinetic pulse rifle just doesn’t have enough rate of fire to pair with the amount of damage it does, which makes it both limiting in optimal engagements types and unforgiving of missed shots. The combination of solid range, Headseeker, and Snapshot Sights should have made this a fun weapon to use, but in practice, it just doesn’t feel good. Even in its archetype, it is a weak weapon stat-wise since the range, recoil direction and stability are so poor. Pros – Above average range, stability, and aim assist. Cons – Below average magazine. On console, hand cannons are pretty far from the meta, but if you want to give them a shot, Judgment is a solid choice for your Kinetic slot. For the archetype, it compares favorably in range, aim assist, recoil, and stability. The only real drawback is the small magazine size, but the Opening Shot perk (increased accuracy on the first round fired from the mag) and Moving Target (increased aim assist and movement speed when ADS) is more than enough to offset it. The perks allow this hand cannon to feel much stickier and more accurate than most other weapons in its archetype. Highly recommend it, especially if you’re getting tired of Better Devils. Pros – Large magazine. Above average stability. Cons – Average range, reload speed, and aim assist. There isn’t much to say about this Energy Scout Rifle, not much good for PvP anyway. The perks are, for some reason, seemingly geared exclusively towards PvE, but there are several scouts in the Precision archetype that are better in PvE and PvP. The stability is solid, and magazine is plentiful, but Nameless Midnight is better against enemies, and Tone Patrol is better against Guardians in the Crucible. So there’s no good reason to use it over better alternatives. Pros – High range & aim assist. Cons – Small magazine size. Low stability. Another disappointing Trials weapon, this Energy Sidearm just has difficulty stacking up against the rest. Since it’s an energy weapon, you’d have to give up Last Hope or Uriels to use it, which would be a hard pill to swallow. But even if you wanted to switch it up and try a different Sidearm, it’s in possibly the worst archetype, requiring 5 critical hits for a kill. Good perks don’t make up for the weak archetype, and the stats (with the exception of Range & AA) aren’t great. Unless you’re looking to challenge yourself, once again, there’s much better alternatives. Cons – Slow reload speed, small magazine. I’m a big fan of the 600 RPM SMGs. They generally have better range, damage output, and stability. So that being said, even though the Antiope is by far the more popular of the two, I wouldn’t sleep on the this Kinetic SMG. It’s got better stability and recoil direction than the Antiope, and the Hip-Fire Grip and Dynamic Sway Reduction perks make your shots very accurate when firing from the hip or ADS. 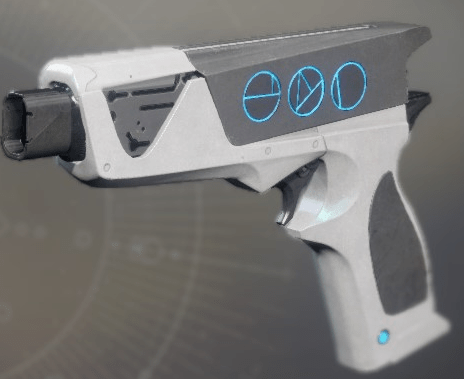 It won’t quite be able to compete at the ranges that the Antiope can, but inside its own optimal engagement distances I actually think it’s the stronger weapon. Cons – Low stability, slow reload speed. Possibly one of the best snipers in the game due to a singular perk: Quickdraw. Sniper rifles were hit hard in D2, and many of them (outside of the Lightweight archetype) can be difficult to use without a Power Weapon Handling mod on your armor. The Long Walk completely bypasses that, with Quickdraw providing a guaranteed snappy ADS speed. On top of that, it does a insane amount of damage per shot, so it’s typical to body-shot Guardians who were already hit. 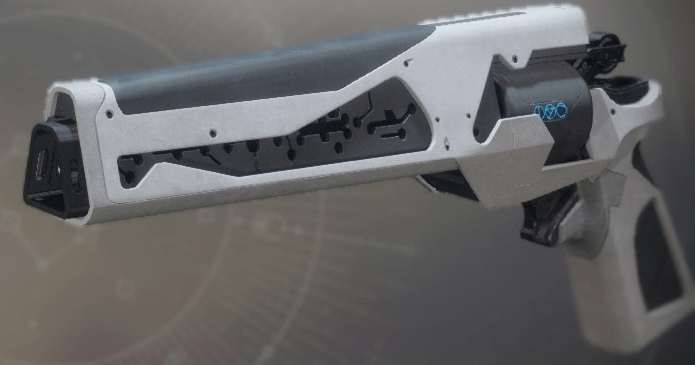 As with all the Trials weapons, it’s also got the the ability to partially refill the magazine by sliding, and it couldn’t be more useful than it is on this sniper rifle. If you like sniping in PvP, give this one a shot. Pros – Average range, reload speed, and mag size. Cons – Below average stability. In D1, I used to say go high-impact or go home, thanks to their one-shot-kill distance. Now, however, Bungie has switched things around on us and started giving low impact shotguns like Hawthorne’s higher range, even though they do less damage. This has the intended effect of bringing their one-shot-kill distances of high impact and low impact weapons much closer together, although the Aggressive archetype (like Sudden Death) can still kill in fewer pellets from a blast (9 compared to 10 for Hawthorne’s). If you do choose to forgo the increased RoF for a weapon which hits a little harder, then this shotgun is an excellent option. I really like Slideshot as a perk on shotguns, primarily because I slide around a lot, and the boosts to stability and range is a perfect match. Threat Detector allows you to ready the weapon faster when enemies are near you, which is also a beneficial perk. Unfortunately the stats are nothing special, which is fair; anything more could push this shotgun to the very top. If you’ve been looking for a weapon with a little more oomph, you can’t go wrong with A Sudden Death.